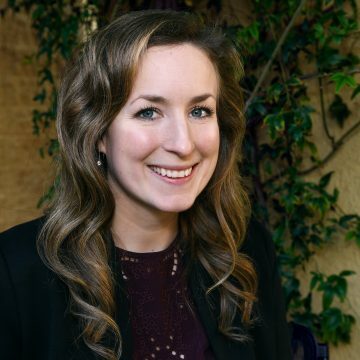 Betsy is the Communications Manager at Second Nature, where she collaborates with team members to highlight Second Nature’s work with universities and colleges to advance climate action and promote environmental sustainability across sectors. She writes and develops the Implementer, Second Nature’s newsletter, and helps craft informative messages to the Climate Leadership Network with climate action resources, event and webinar updates, and policy action points to support the goals of carbon reduction and climate resilience. Betsy hopes to contribute engaging, informative content that alerts the Network to helpful tools like the carbon pricing toolkit, to highlight climate action achievements through recognition programs such as the Marks of Distinction awards, and to bridge communications between higher education and other key sectors in climate action progress, such as state and local governments and businesses, for a global impact. Prior to coming on board at Second Nature, Betsy worked for the International League of Conservation Photographers (iLCP), in environmental communications, highlighting the work of over one hundred conservation photographers around the world using photography as a means to tell environmental stories and draw attention to the conservation issues of our day. Previously, she worked with the US Fish and Wildlife Service (FWS) International Affairs program as the writer for the Outreach and Communications Team, creating engaging blogs about the FWS funded conservation projects around the world, writing press statements on Endangered Species Act policy updates, and growing the program’s Social Media presence through culturally in tuned environmental storytelling and design that encouraged diverse audiences to join in the environmental conservation movement, at home and internationally. Betsy also writes nature-themed devotionals for Harper Collins Christian Publishing and is passionate about engaging and equipping churches and faith-based organizations to care for Creation and get involved in environmental stewardship. She received her Bachelor of Science at the University of Tennessee, Knoxville, with a Major in Animal Science and Minors in Biology and Wildlife Health and Management.